The first time I encountered mishti doi was at a wake. Not the best way to encounter a favorite new food, but this wake was different—it was a memorial feast prepared by my good friend Leena Ezekiel in memory of her mother, Binita Sarma. Leena, a native of Assam, India, couldn’t make it back home for the traditional Hindu 13 days of mourning for her mother, so she attended what ceremonies she could via Skype, held a service at an ashram here in Portland, Oregon, and cooked an epic dinner that included all of the dishes her mother loved best. The finale of a vegetarian feast that included over a dozen dishes was mishti doi, a sweet yogurt custard from the Indian state of West Bengal. When Binita visited Leena and her family in Portland several years ago, they introduced her to dulce de leche ice cream, and she was smitten with the caramel flavor. “She really loved it to the extent that all 4 months of the visit, she had that ice cream every single day,” Leena recalls. Leena’s brother picked up the mishti doi for their mom from a local sweets shop, and it became one of her favorite foods until she passed away a few months ago, well into her 80’s. To make mishti doi, Bengalis mix homemade evaporated milk, yogurt, and palm jaggery (unrefined sugar made from palm sap), which adds a rich, buttery caramel flavor to the mixture. The mishti doi is left to culture at room temperature overnight in porous terra cotta vessels that absorb some of the excess moisture. By morning, the dessert becomes so thick, it’s often sliced to order. Stateside, Leena tried the same method and was met with varied results; about half the time the mishti doi would not set up and she was left with a sweet, soupy disaster. 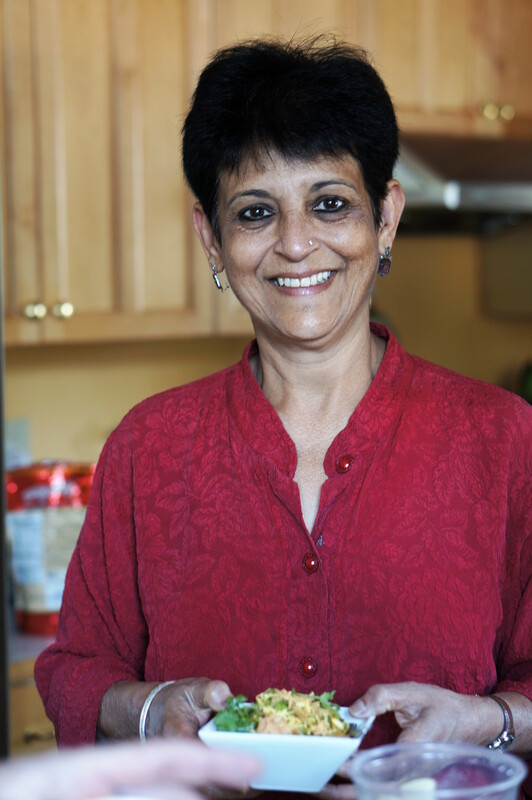 Then, while developing recipes for her regional India cooking classes and pop up restaurant, Thali Supper Club, she developed a foolproof recipe. Now, instead of setting the yogurt mixture out overnight and gambling upon whether the curd would set, Leena bakes the mishti doi in a water bath instead, much as you would other egg-set custards like crème brulee or flan. “I just mix it all up, pour it into one big dish or individual serving dishes, and bake it in a roasting pan set up like a water bath in a 300°F oven for a few hours. It kind of steams it and bakes it gently. Then you cool it and then put it in the fridge until it’s done setting. It sets beautifully, every time,” she says. The finished dish is a delicious study in beautiful simplicity. It has a creamy, pudding-like texture with a deep, rich flavor of dark caramel and a touch of acidity that makes it refreshing. Mishti doi is elegant yet comforting, sweet, but not too sweet. It’s a fitting way for Leena to memorialize her mother Binita, who was all of those things, and more. This recipe can easily be doubled and baked in a larger casserole dish. (If going that route, add an additional 30 to 45 minutes to the baking time.) Jaggery is the most authentic sweetener for this recipe. It comes in brown, fudge-like cones that lend this dessert a sweet-sour taste and caramel flavor. Look for bags of jaggery at Indian shops. Leena often uses brown sugar instead as it’s easier to find. Preheat oven to 300°F. In a small saucepan, heat the milk over medium heat until hot to the touch. Pour into a medium mixing bowl, add the jaggery or brown sugar, and whisk until the sugar is dissolved. Let the mixture cool to room temperature. 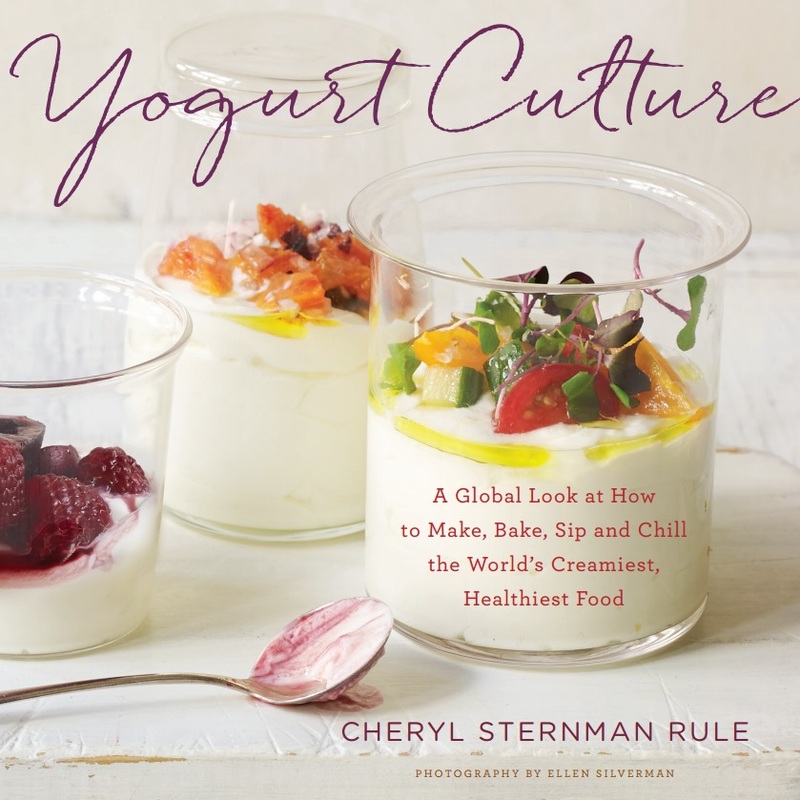 Whisk in the yogurt. Pour the mixture into a 4-cup baking dish and set in a roasting pan. Place the roasting pan and baking dish in the oven and pour enough hot tap water into the roasting pan to come halfway up the sides of the baking dish. Bake uncovered until the center is still a little jiggly, but the edges are set when tested with a butter knife, about 1 1/2 hours. Transfer the baking dish to the refrigerator and chill completely before serving; the mishti doi will set up further as it chills, achieving the consistency of flan.